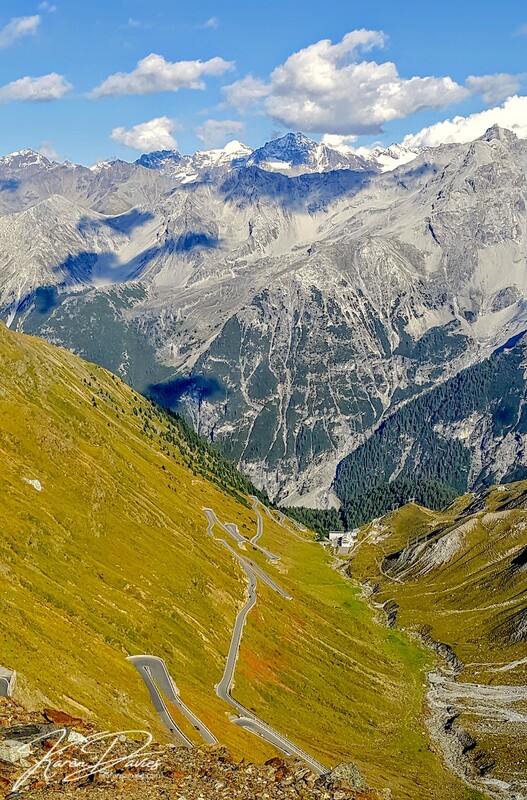 Stelvio Pass, Italy – are you game for the ride of your life that gets your heart pumping, your legs wobbling and your eyes bulging with all the incredible scenery? A ride that takes you from the edge of your seat to the edge of fear – and back again. 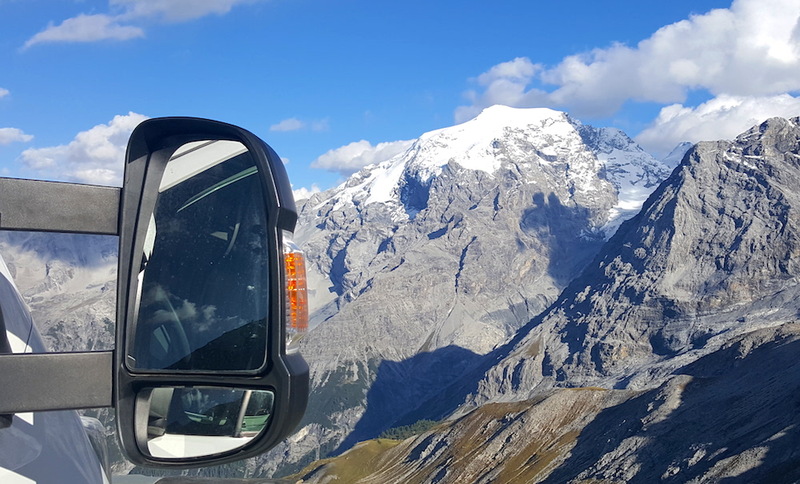 We had the Stelvio Pass in our sights from the outset of our ‘life on the road’, as we were driven by living beyond our fear. Although for all sorts of reasons, it didn’t happen. Then we had the chance to drive the Transfagarasan Pass, which was soon followed up by the outstanding TransAlpin Route, both in Romania. And what a thrill they both were. So what could beat that experience, especially when the Transfag has been voted ‘the best’ by UK’s ultimate petrol-heads from the Top Gear team? After crossing through Austria and having to by-pass the Großglockner route because of the threat of 15cm of white stuff, we found ourselves in the Dolomites in Italy. 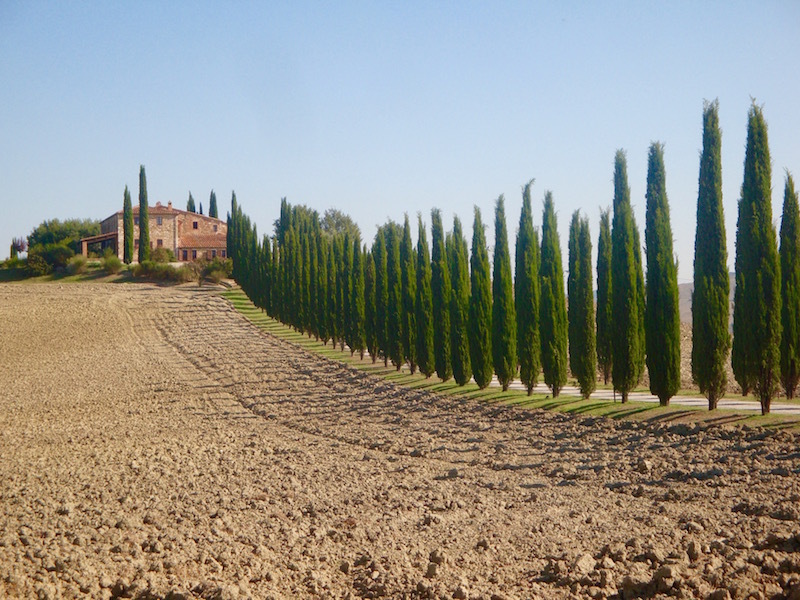 We’ve seen these majestic peaks, with their angular spikes towering over the Venetian region, many a time, so to actually be driving within them was just magical. 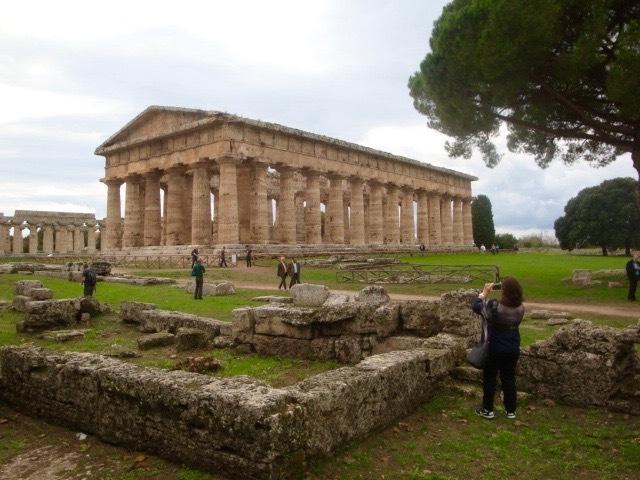 With scenery looking akin to a Canadian tourist brochure, we were totally wowed by the whole region. Although yet again the weather dampened our spirits, quite literally – low cloud and drizzle meant that any exploration had to be in our dreams – for now it just wasn’t meant to be. That was until we woke up to clear blue skies after a fabulous wild spot at Cinque Torri cable car, (46.51894, 12.03837). 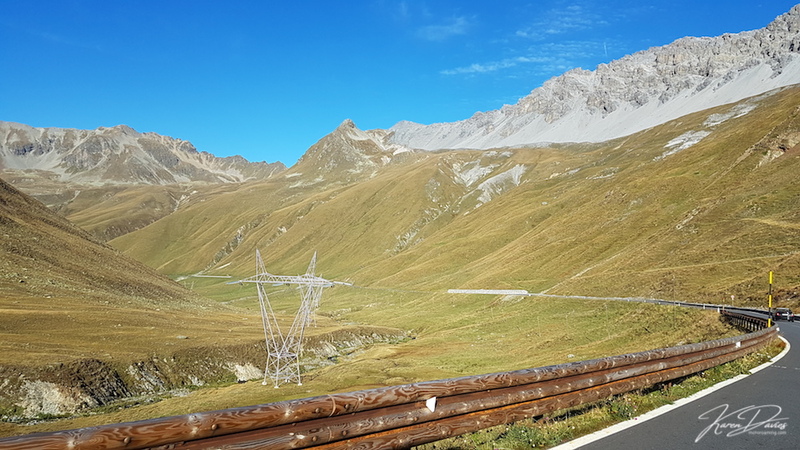 In a flash we had changed our plans and in a fit of child-like giddiness, decided to hit the road and head to Stelvio Pass. It was only four hours away after all! A piece of cake. After plenty of ooh’s and ahh’s around every corner, we wondered how on earth we could beat this drive on the Falzarego and Gardena Passes. 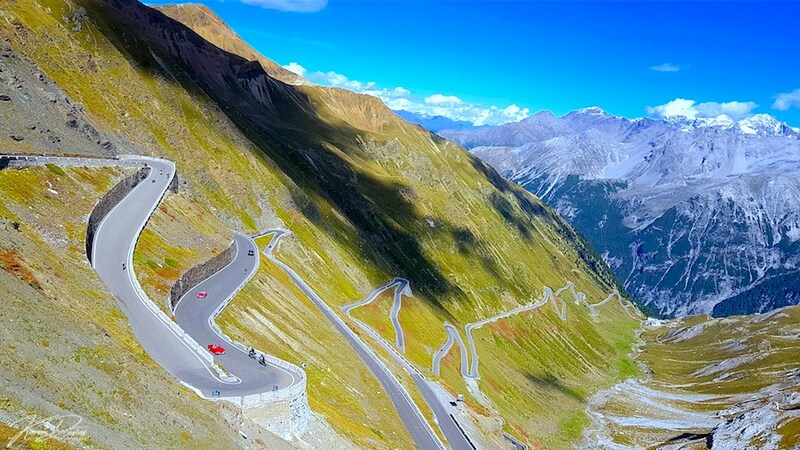 Although Stelvio is one of those Bucket List places, especially if you seek memorable and adrenalin pumping experience. 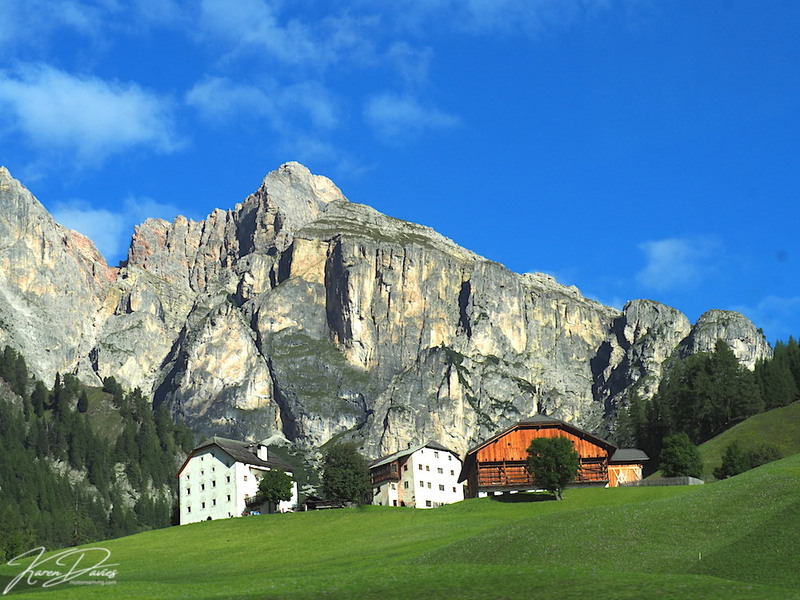 So onward we drove, past Bolzano – famous for its capital status of the southern Tyrol region and home to the infamous ‘Iceman’ Ötzi – a Neolithic mummy. Heading north, the valley transforms; its angular construction morphs into a more undulating spectacle, with the mountains crocheted with acres of vineyards and patchwork apple orchards. In September to see the fruit literally dripping from the tiny trees is almost as iconic as the Tuscan grape vineyards further south. Every 100m we found a road-side seller enticing us to stop and take the ‘red apple’. Tempting as it was, it was not food we craved – it was the secret hidden within the heart of those towering giants who beckoned us. Within only 90 minutes and around 50 miles from Bolzano we soon started to see the famous brown signs that told us all we needed to know – Stelvio was coming! With thirty thousand devices at the ready to record our adventure, we entered the Stelvio Park. At first we were greeted by pine clad forests, sweeping roads and alpine villages that perch over the ice-blue river, which courses its way from the upper glaciers. Little did we know what lay ahead. Slowly we climbed and we were thoroughly enjoying ourselves – until the wiggles began. They were gentle at first and then they became steeper, tighter and more heart-pumping. 48 switchback bends awaited us for our uphill trek and for the first 10 or so it was exhilarating. Yet soon they became more challenging and our strings became tighter and the air a little more blue as expletives of disbelief became common-place. Our fear, for now was being silenced by the adrenaline rush of the adventure. The picture-postcard perfection filled our windscreen – snow capped mountains looming large in front of us, so close we could almost touch them and feel their chill. For a moment the Dolomites became a distant memory as we became hypnotised by Stelvio’s beauty. At bend 31 (which at the time we hadn’t actually clocked meant there were still another 30 to go) we stopped for some lunch. With legs a little like jelly after navigating 19, 180 degree bends, we took a breather and enjoyed the scenery. This spot would have made a fantastic place to overnight with our camper and whilst the view was seriously winning the battle to make us stay, Myles was keen to get towards the top – which, after all was only 5 miles away. What could possibly go wrong? One thing that motivated us to continue was a German outfit that parked up next to us whilst we were having lunch. A guy poised with his camera stood as if in wait for someone or something – and of all the things we could have anticipated – UNICYCLES would not have been one of them. Really? 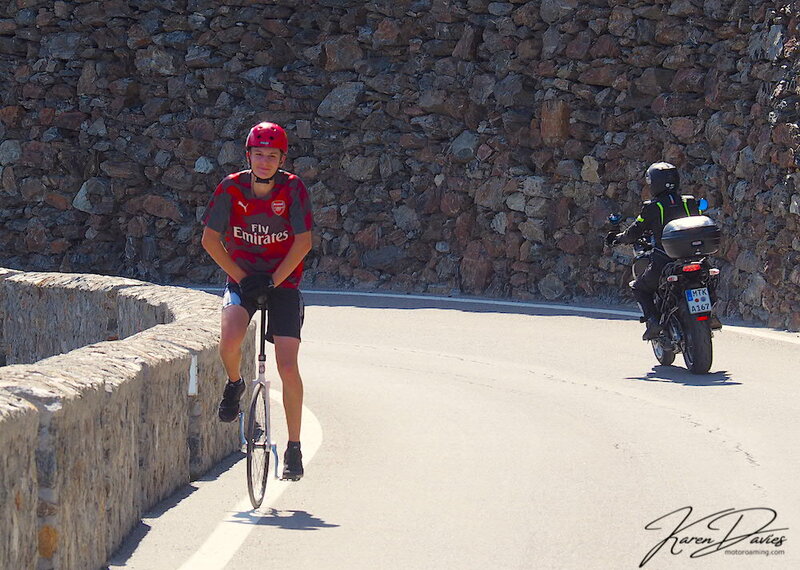 Yes seriously, two guys were in training and cycled all the way up the top of the Stelvio Pass, all 50 odd switch backs on UNICYCLES. Are they mad? I couldn’t imagine doing that on a bicycle let alone a Unicycle. All praise to them. With just a bit of fuel inside our bellies we carried on and it didn’t take very many more bends to reveal the truth behind the mere 5 mile challenge. The stark realisation was that the snake-like bends ahead of us formed the vertical route we HAD to drive up. For a second we did think about turning around, as we had already had a little scrape on the back skirt, although we had come this far – we were not about to stop. One bend at a time. Me craning my neck to see descending traffic and Myles, with the strength of an ox and steely determination, driving wide; first gear, slowly does it, pathway clear, gentle acceleration – another bend successfully completed. I’ll be honest, at this point, our experiences of Romania’s Transfagarasan Pass seemed like child’s play – this was so much more of a stretching and challenging drive. Not that we like to compare, although this road was more technical. So, sorry Top Gear boys – we think Stelvio beats Transfag hands down for pure driving skill. Whilst neither of us said it out loud, I think our fear took over our excitement at this point and whilst it was thrilling, the switchbacks are relentless and they test you as driver and a navigator. I think above all it is the traffic that causes as much of an issue as anything; cyclists, buses, sports cars, motorbikes all buzzing around you and with a rig that is 7.5m long, our need to take a wide course was imperative. Still we did it and we would not have missed the experience – it really made us feel alive. Reaching our summit spot for the night was both a relief and a highlight as we gazed in disbelief down the valley to see the path we travelled. It is a vision that made me feel proud; proud of Myles’ skill, proud of my calmness, and proud of sticking with it. It was one of our greatest accomplishments since we took to the road. And the reward was heart-filling. 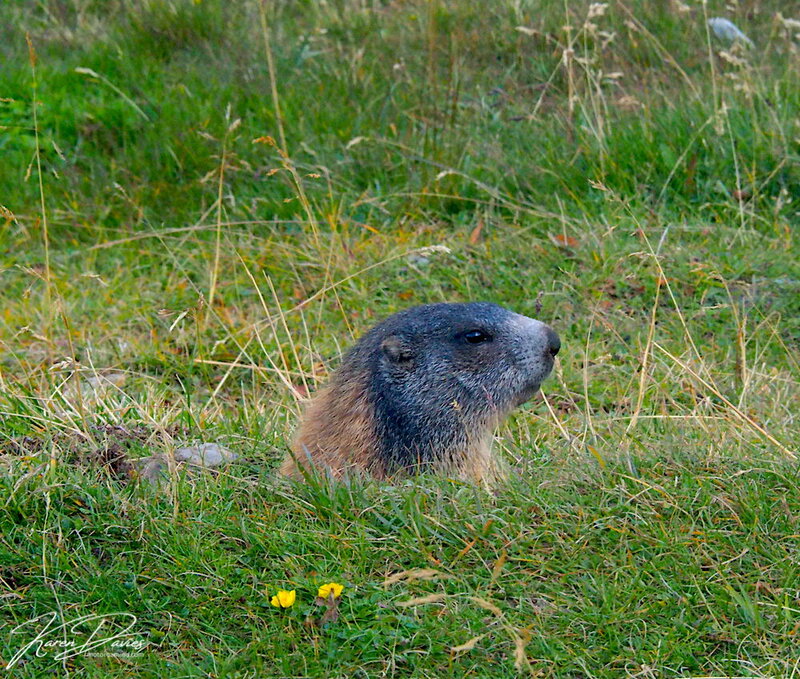 With glaciers at eye-line level, chunky marmots playing in the late afternoon sun and choughs flying past our window, we forgave ourselves for feeling just a little smug. It took an hour or so to calm down, although with a ‘home’ like this we soon relaxed into it. Check out our video footage of this crazy experience by clicking the video below…. Given the ascent, we knew we still had to get down! Would that be as hairy we wondered? To be on the safe side, we decided to head out early, yet despite this there was still plenty of traffic around. I had read that the ‘other side’ was grey and boring in comparison – well take it from me – do not listen to that crazy notion. It is different that is for sure although boring, NO WAY. The roads are more sweeping and the bends much easier to handle with plenty of places to stop for pictures. 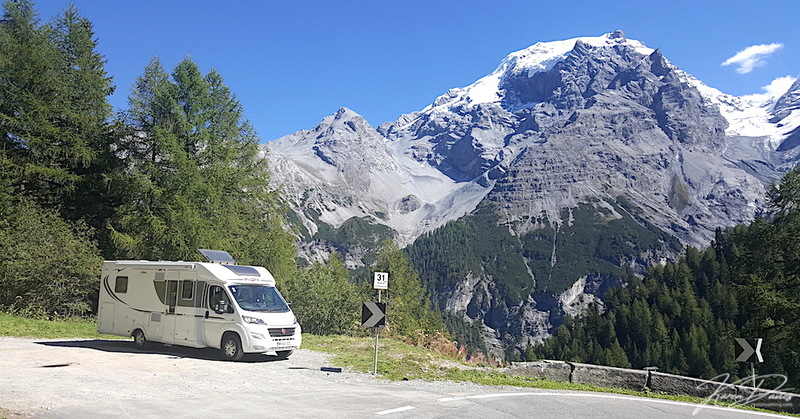 As we flirted with the Swiss border, we did, for a moment consider turning right into the Swiss National Park, although we wanted to say that we had ‘done’ Stelvio, in all its glory. We were treated to the most amazing waterfalls, the sight of marmots up close and tunnels that were, at times, just a little challenging. We loved the trip down and for us both it was a much more relaxed affair, where we could enjoy the scenery without such an intense feeling. After an hour we found ourselves in Bormio and we were soon on our way towards to the Italian lakes. And whilst our experience of Stelvio was now officially complete, the van was intact, as were our nerves, I felt just a little sad. 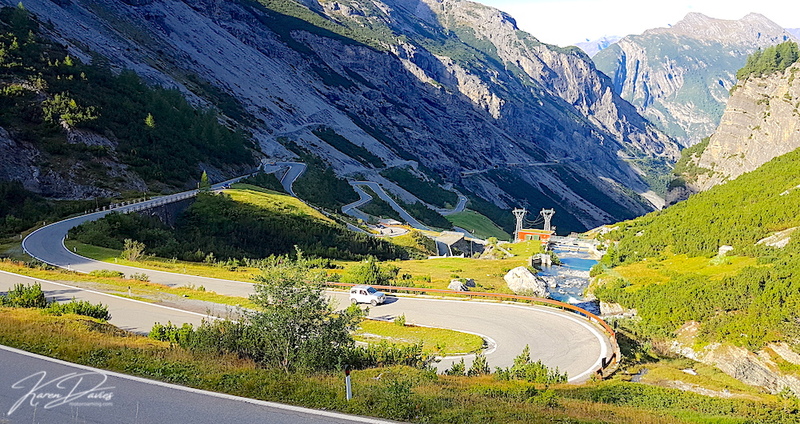 I was sad because Stelvio is an onslaught of the senses and with 60 or so switchbacks, often our need to concentrate overtook our ability to absorb our surroundings. So I would love to do it again to really soak up the experience. Still we have done it – I’m so thrilled that we did it and would definitely recommend it. 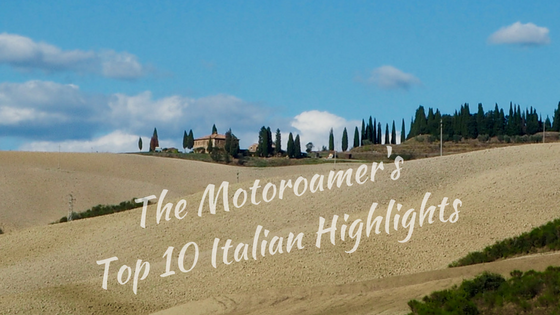 Here are some facts and tips for making your Stelvio memorable, for all the right reasons. 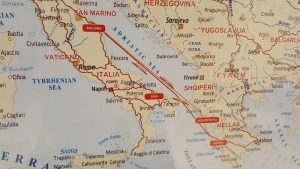 The Stelvio Pass is almost 200 years old? 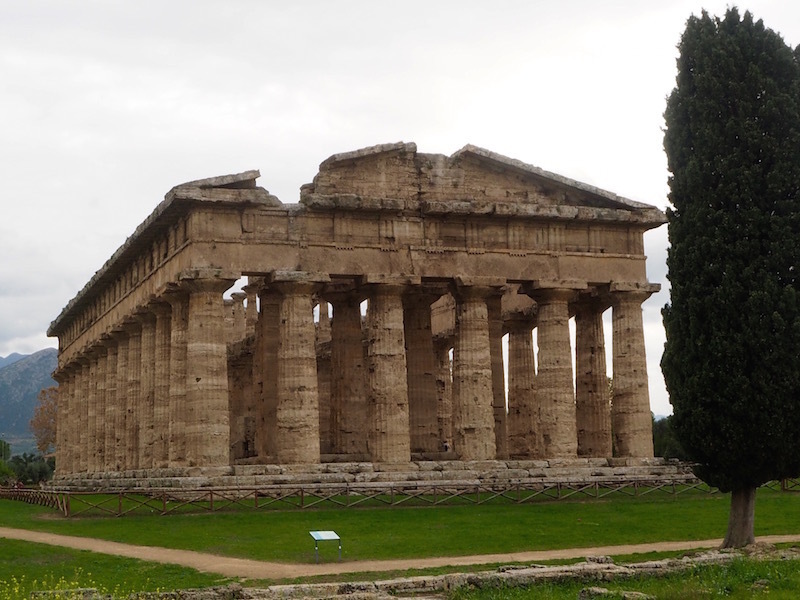 It was constructed by an Austrian Emperor who wanted to join the valley to his homeland. It is pretty much unchanged since that time. It reaches over 2,700m high and is 31 miles long – 49km. For 2 days at the end of August/beginning of September the route is closed to the public, allowing only cyclist to use the road. Do check the exact dates before heading this way. Even Sterling Moss, the greatest driver in the world, got into difficulties’ whilst travelling Stelvio. Stelvio may not be the most dangerous, although it is the highest paved road in the Eastern Alps. Unlike the Großglockner Pass in Austria’s Tyrol mountains, there is no toll road fee. Enjoy it free of charge – except for the energy you will expend in concentration and the petrol you will consume! We suggest to be kind to your breaks that you do the route from the northern edge from Balzano south to Bormio. It is far easier to navigate the switchbacks uphill. Whilst the route is open from May to September, always check the weather before undertaking the journey as unseasonal conditions can affect the area. The 31 miles will take you around 3 hours to negotiate, so time it right if you need to do it in one day. 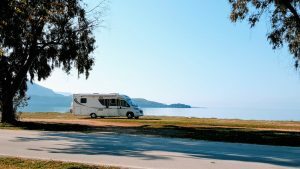 We recommend if travelling with a camper that you take two days and find one of the amazing wild spots to stay overnight. 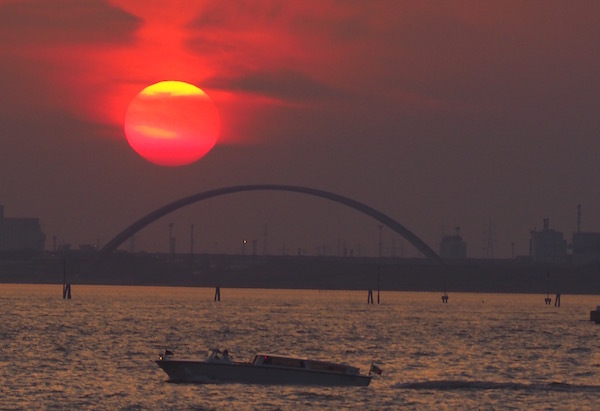 The light of the sunset and sunrise is magical. Avoid the road during the high season; July and August, especially the weekends as the volume of traffic will undoubtedly impact on the whole experience. Travel early or late if you want to minimise the traffic element of your drive. Whilst there are still plenty of people on the road, we certainly encountered less buses in the morning run. For more information check this website out. 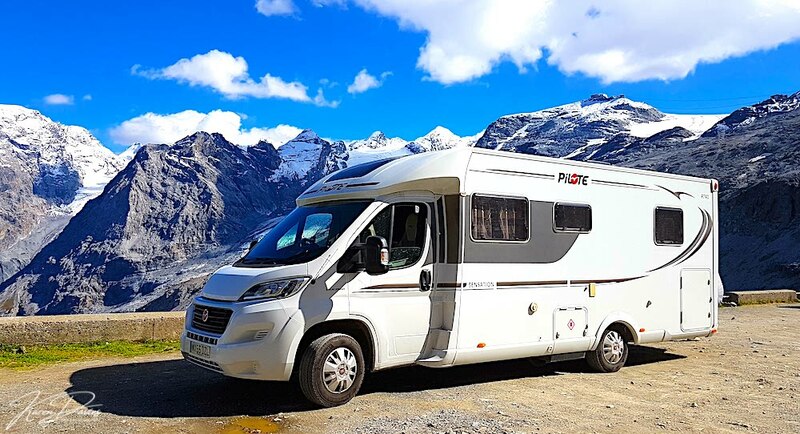 It might sound strange, although it is worth checking your brake pads especially if you are travelling in a camper and intend to go south to north from Bormio. No harm in checking all is well. You do not want to be half way down and finding your pads are thinning. 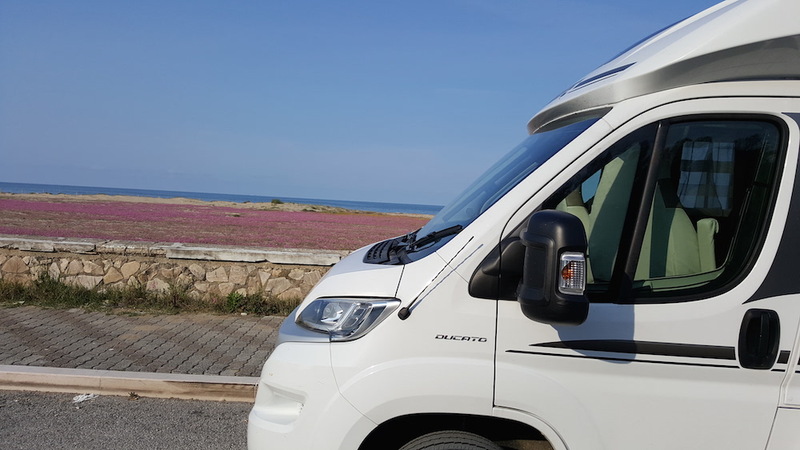 If you are taking a camper whilst small buses do bomb up and down, we agreed that anything over 8m would be more of a stretch on this road and if you have a trailer, we suggest finding a campsite and leaving it behind. We totally loved this road, as we look back. Whilst we were in the moment it was one of the most difficult drives we have ever done, the thrill and aliveness you feel whilst doing it make it completely worth it. Safe travels for your bucket list ride. Other posts you might like…. 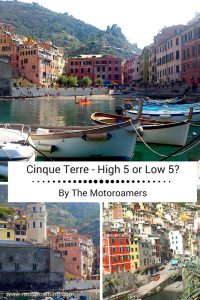 Cinque Terre – High 5 or Low 5? 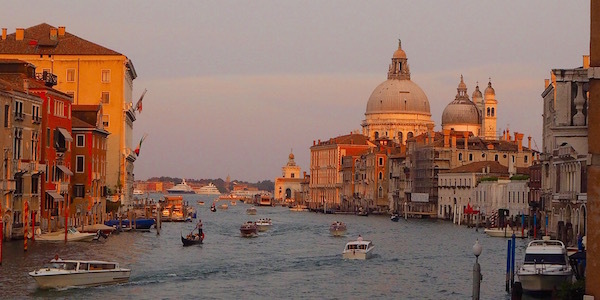 Anticipation filled the autumn air as we looked ahead to Italy’s Cinque Terre. 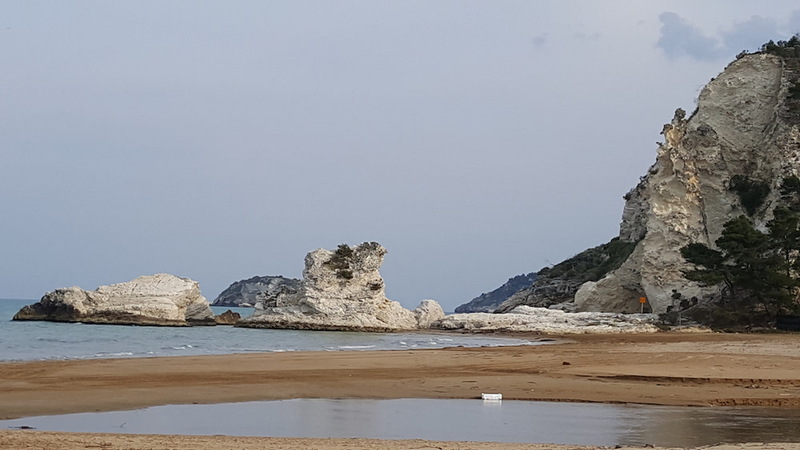 The Famous Five; a coastal stretch of Italy’s Riviera that is home to five quaint fishing villages, pastel coloured houses that perch precariously on the rock-face where residents live life on the edge, almost literally. How would our day fare? Would we be left disappointed or delighted? Our feelings about Italy over the last couple of years have been tinged with what can only be described as a love, hate relationship. Sometimes we adore its romantic canvas and then we take to the road and the love affair comes to an abrupt end as we navigate the highways and bi-ways with their crazy drivers. 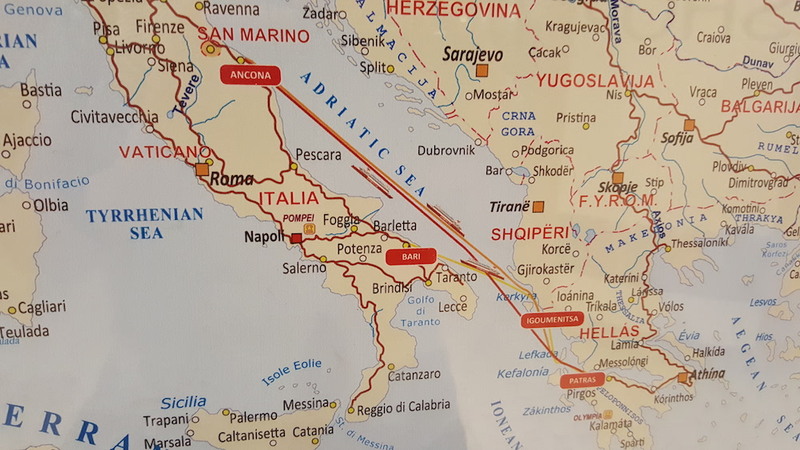 We had a similar connection with Cinque Terre (CT) when we visited last year, after stumbling upon Portovenere just along the peninsular from La Spezia. We loved this wonderful town and as a working port has somehow held onto its authentic roots despite growing tourism. 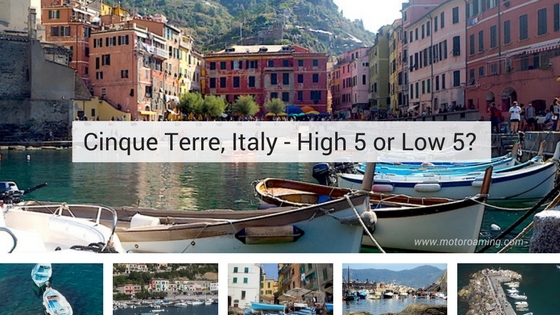 And yet Portovenere is NOT on THE LIST, which perhaps accounts for its serene vibe and distinct lack of visitors. At the other end of the coast you find Monterosso; a surprisingly grey town cut in half, discourteously by the railway line, seemingly severing its once beautiful sanctuary. We were so disappointed by our initial introduction to CT that we decided to pass on by. So this year, late September we were travelling with friends who had the Land of Five on their list and felt we wanted to give it a second chance. Travel is, after all about exploring beyond the magazine cover and seeking real life within the beating heart of the streets. Perhaps this trip would re-ignite the love we so wanted to feel for CT.
Strangely, despite our previous experience, we woke with anticipation and excitement. With the sun reigning supreme, we set off on what felt like a proper adventure. 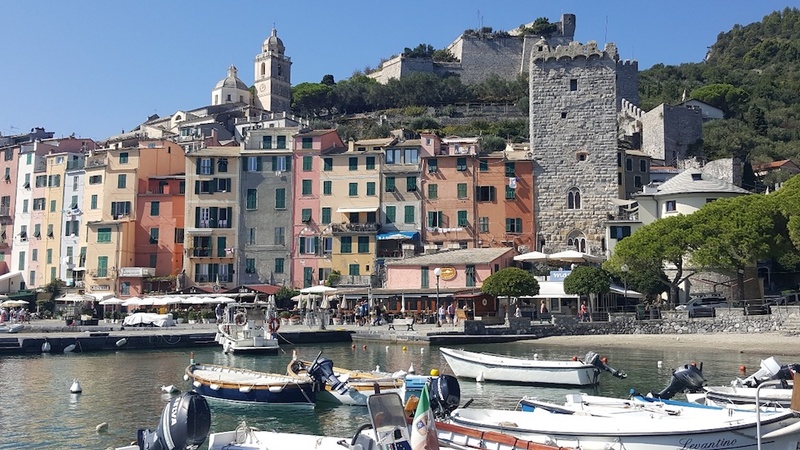 A bus from Portovenere into La Spezia, a walk to the train station, purchase of an ‘All Day Cinque Terre Ticket’, a quick coffee from McDonalds and on the train within minutes. It felt like a scene out of an Enid Blyton novel, where four friends accompanied by their dog, a packed lunch and fully-charged cameras, set off in search of exploration. Given that we had only one day and had already visited Monterosso, we decided to start our exploration at the next most westerly point, Vernazza; and within a twelve minute train ride, we had arrived. Yet within seconds of stepping off the platform, we were stripped of our excitement as we were met by a throng of Tour Groups and wall-to-wall tourists resembling something out of Piped Piper. We followed like sheep, assuming that they were all heading towards something spectacular. We passed by one souvenir shop after another and selfie-taking enthusiasts, and hoped that if we darted around them, we would find our slice of tranquility. They say that ‘First Impressions Count’ and although I’m not a great believer in this quote, I have to say that today, it felt true. Above the shop facades, four storey buildings rise above your head, framed by uniform green shutters. Residents look down upon the bustling crowd below with a mixture of amusement and annoyance it seemed to me. Washing hangs from their lofty windows, despite the camera-clicking posse on the streets beneath them and houses, dearly in need of some love, line the streets blocking out the sun. 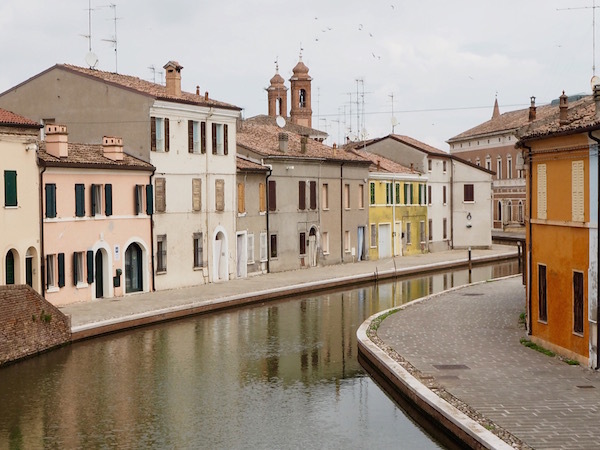 At the end of the main street you are presented with a plaza and harbour, which since the October 2011 floods has certainly regained its structure. Like bees to a honey pot, people are buzzing and flocking – to where, we were unsure, although the harbour seems to be the place to hang out. And for sure the sight looking back from the breakwater was pretty, although nothing that, at this point, made us go ‘wow’. Regular ferry boats pull up to the docking pier for yet more visitors to disembark and descend upon this tiny fishing village. Despite being one of those visitors, I felt sad for Venazza and the invasion of so many tourists. 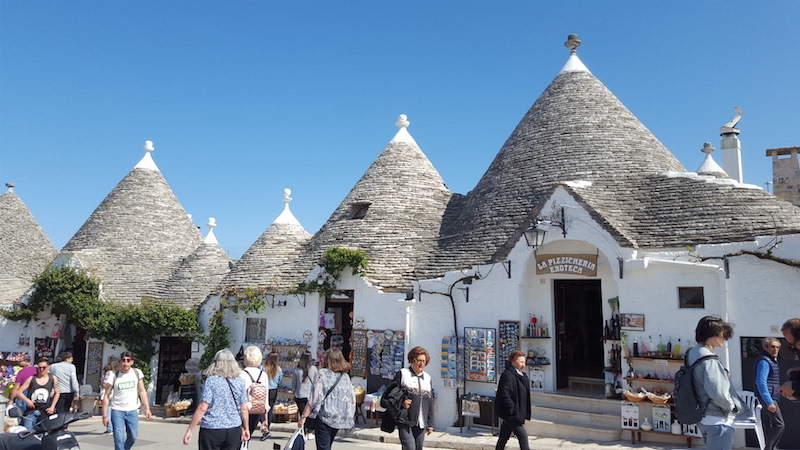 The bygone days of earning a crust from the sea is now replaced by souvenir shops selling pasta and scented lemon sacks. In our attempt to seek something special, we spied a lofty spot at the castle tower; here surely we would see the beauty? Steadily clambering up the steep steps, we arrive at the castle gates, only to be greeted by a €1.50 entrance fee that our Day Pass didn’t cover. So two of us climbed the tower, whilst on principle, the other two stayed below. The view was lovely although it just didn’t quite do it for me. Perhaps the next village would do this iconic region justice. 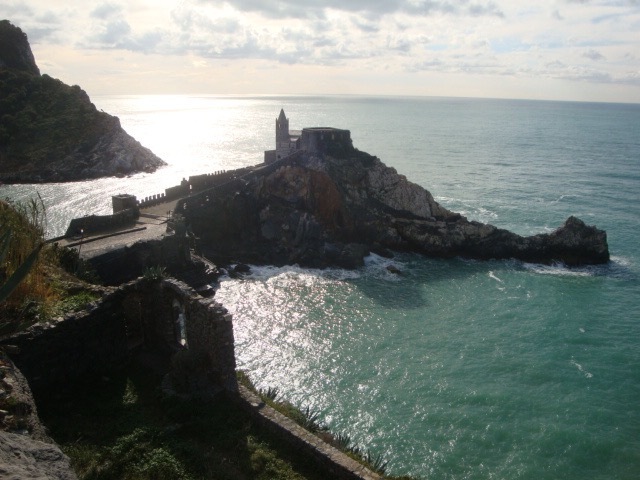 So our starter for 10 – Porto Venere 1, Cinque Terre 0. Back on the train we travel east towards Corniglia, which can only be visited by train or car as it is positioned high up on a rocky crag, making it impossible for ferry tourists to access. From the train station you have the opportunity, with your All Day ticket to take the Shuttle Bus to the village centre, although with hoards surrounding the bus as though a celebrity was inside, we decide that the hike up the zig-zag pathway would do us good. After climbing 383 steps to the top, we smile at the Pharmacy at the path’s entrance, inviting you to take something for your excessively beating heart? 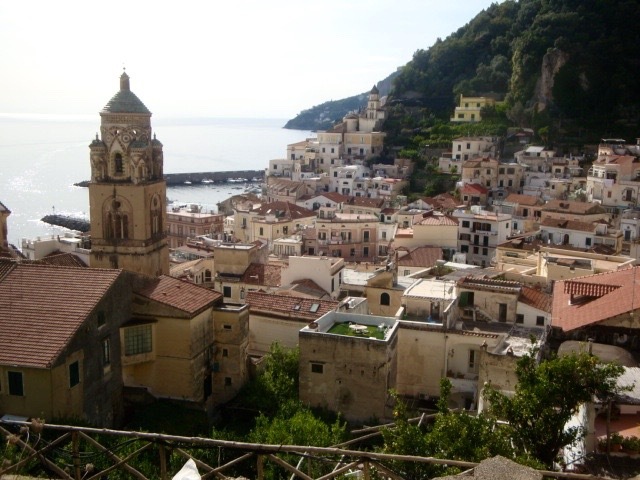 Corniglia was village number two that left us speechless. After staggering up the steps, we dashed from one potential viewing spot to another desperately searching that x-factor. Yet scruffy buildings with broken windows, dark, narrow streets with people competing for air and a couple of vistas promising a view to die for and delivering something very underwhelming, was our prize. Were we missing something? 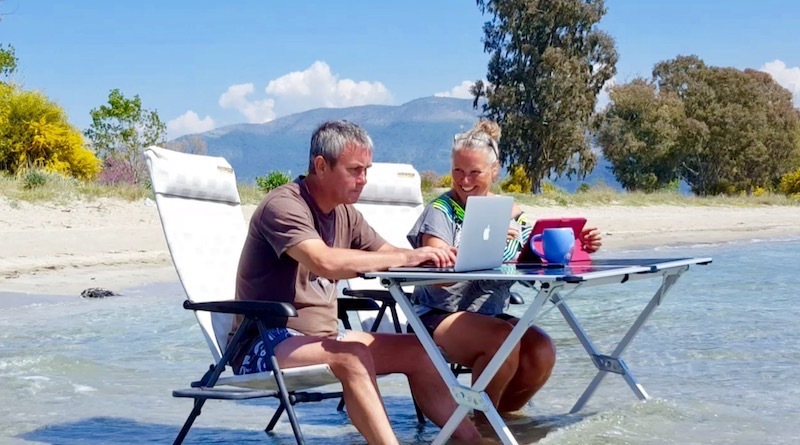 Perhaps because of our travels we have just experienced too many wows in our memory bank that have to compete for our affections – is this is danger of our travelling lifestyle? 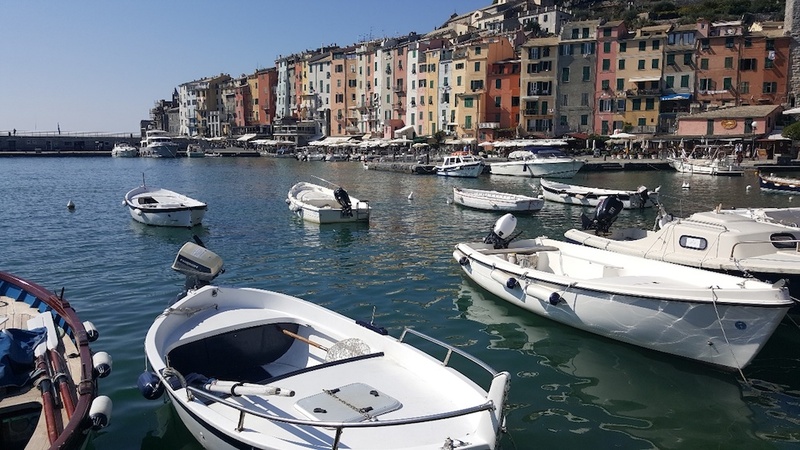 And yet, not less than two days previously we found a ‘wow’ at Portovenere, so we knew it couldn’t just be a laissez-faire mindset and we so wanted to feel the love. For the moment though it was Portovenere 2 CT 0. Such was our disappointment and tiredness, if we’re honest, we decided to miss Manarola. We heard a less than positive review from a lady who was staying there, so would Riomaggiore be our final saving grace? 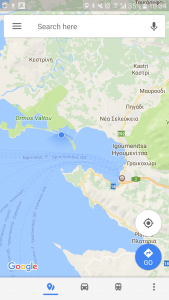 It’s true that this most easterly village had a certain charm as its roads rose steeply into the mountain bedrock above it and its streets swooped down to the sea below. Some buildings had been newly painted, creating something similar to the magazine images, although we still felt there was something missing. 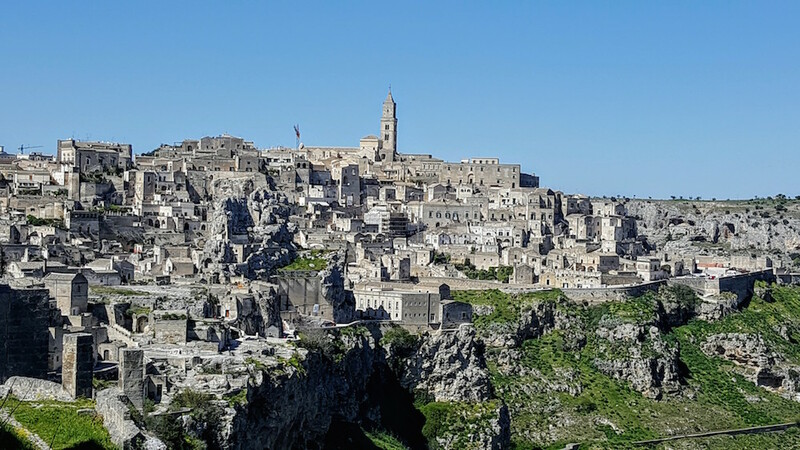 You need to be fit to wander the streets of this village, as in your pursuit to explore the real village and not just the high street geared for tourists, you will need to climb towards the gods – and the stairways are unforgiving. As our experience came to an end and we reflected on our day out in the Famous Five, what would our honest appraisal be in influencing future visitors? I would love to report that this is a ’must’ on your Italy tour, although with all integrity I cannot. Clearly all experiences are coloured by our own conditioning and the truth is that you must make up your own mind. 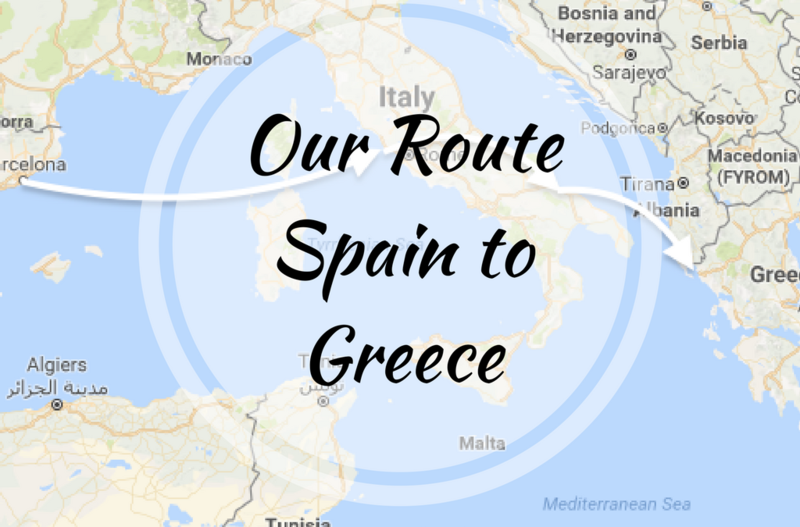 I’m really glad we went and we did have a fabulous day together – travel after all is not a Utopian experience – you must experience all sides of a place to truly be enriched. 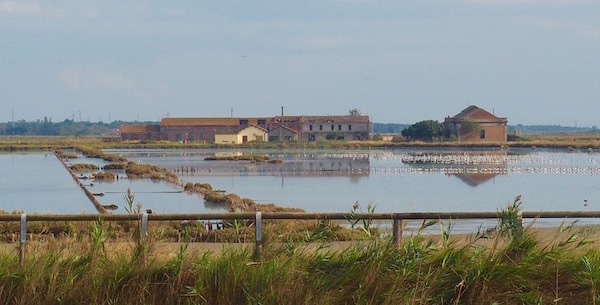 Although these are the factors that influenced our experience; the villages are over-run with expensive ferry arrivals and tour groups. The villages seem to have lost their souls, selling them to the Tourism devil and it felt to us that they had sacrificed their authenticity for the sake of the crowds, of which we were part, of course. The buildings look tired, unloved and shabby and fishing boats had been replaced by motorboats looking for their next experience-hungry customer. The marketing of the area creates an expectation that, in reality didn’t match up for us. We hoped for so much more. 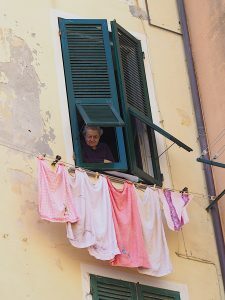 Photoshop certainly gives us an illusion of Cinque Terre at its best and if you are looking for a genuine insight into the villagers’ way of life back in the day, you may be left sadly disappointed. 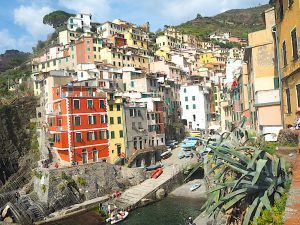 You can of course say that you have ticked off Cinque Terre, although unless you are wiling to stay in each village for a short period during November to March then I’m not sure you will feel its real heart-beat. Our advice is visit Portovenere as this is what encompasses our expectation of the Cinque Terre and it was the ‘wow’ that we were looking for. You can buy a One Day Cinque Terre ticket for €16pp and this gives you access to the walking paths, the Shuttle Buses, the Hop On, Hop Off Train and the toilets that are normally charged at €1 per wee! We bought our tickets from La Spezia Train station. Tickets must be validated at the Green Machines before getting on the train. You can go by Ferry, which depart regularly from Portovenere, Lerici and Levanto. 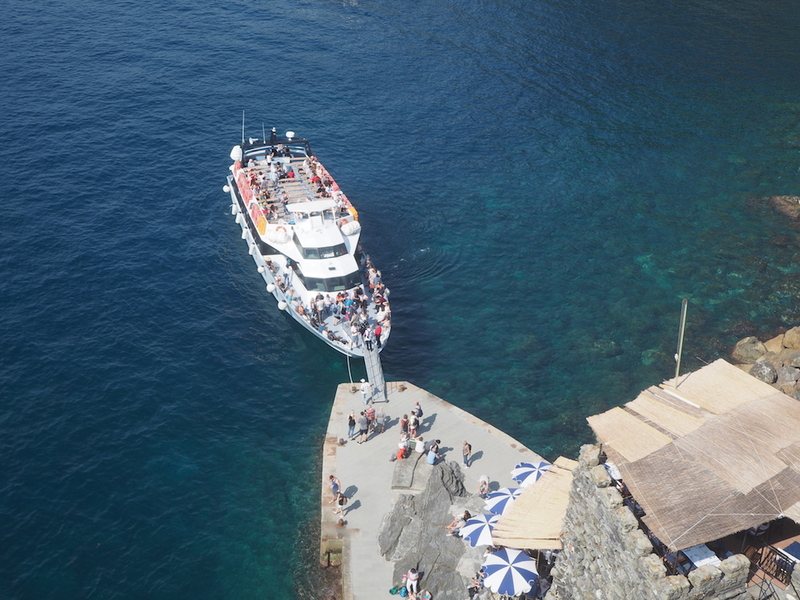 From Portovenere it costs €33 per person and is subject to weather conditions. 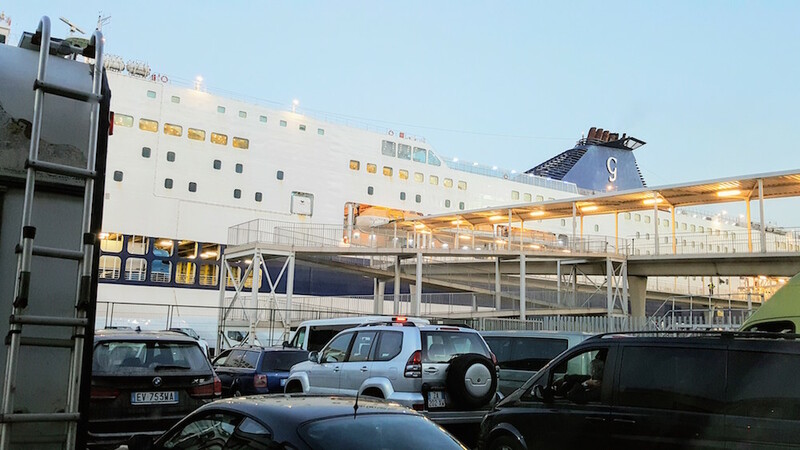 Please remember that the Ferry does not stop at Corniglia. 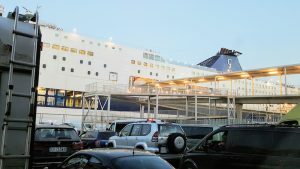 From people we spoke to, the ferry is a tiring option, only because linking up to departure times can cause a lot of hanging around and the transfer from one village to another is a lot longer than the trains, which generally go every 30 minutes. If taking the train, you can buy a single ticket for €4 one-way, although this will only take you to one village. You must then buy another €4 ticket for each separate journey you wish to take. So if you only want to do a couple of villages each day, then this could be a cheaper option than buying separate Day Tickets. The tower at Vernazza castle costs €1.50 to enter and you really only spend five minutes up there. 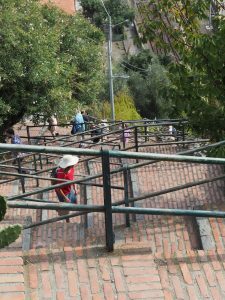 You will need to be fit to climb the steps that leads to the Ticket Office, so be aware of this and the costs before you make the climb. You can take a small dog on the train and boat for free. You will need either a dog carrier for the train or carry the dog and take a muzzle. For a larger dog, check before you travel and make sure you have your dog passport. If you take the train, take note of the departure schedule so you can manage how long you spend in each village. This way you don’t waste valuable time waiting for a train’s arrival. They are not always on time. Visiting all five villages in one day by train is doable, although it is a tough schedule that doesn’t really allow for any chilling or lunch/refreshment breaks. We did three villages in our day trip over about four hours and with the walks to and from the station, it makes for a long day. Ideally to enjoy the villages take two days. To visit Cinque Terre, you must have a reasonable level of fitness due to the steepness of the alleyways, towers and paths to and from the train stations. The villages are not all Pram or Wheelchair friendly, so please consider this in your plans and get advice before travelling. Of course you can travel by car to each of the villages, although this will add a significant amount of time to your visit as there are no direct coastal roads that link each village. So the mountain roads will need to be navigated to reach each one. 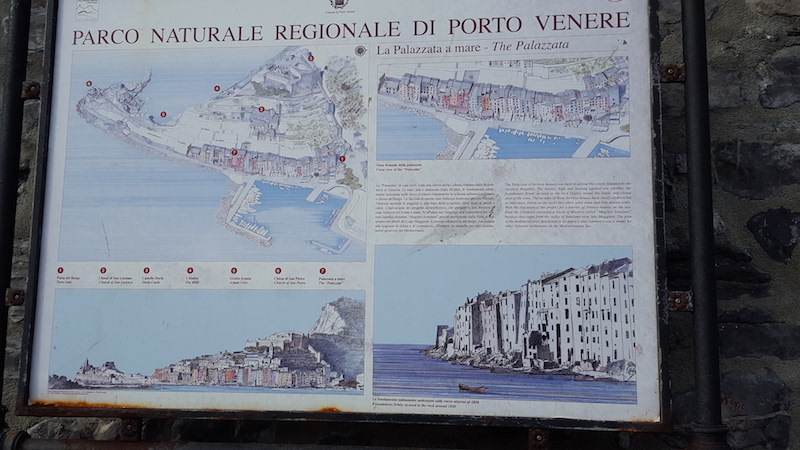 You can reach Portovenere by car or bus. The yellow bus leaves La Spezia from Via Garibaldi and it takes about 20 minutes to arrive at the town and costs €5 return. As recommendations go this one was a belter. 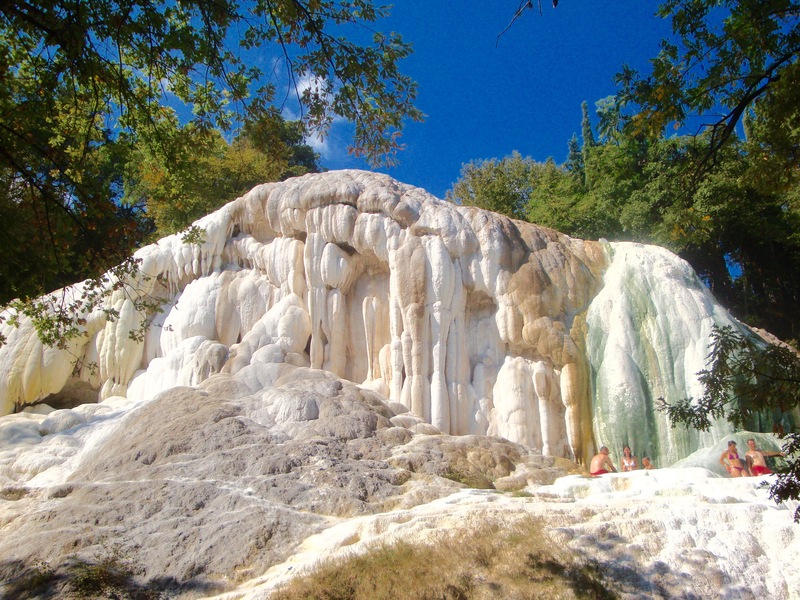 If you’re ever darn sarf in Italy check this place out. Think Clovelly in Devon and you won’t be far off. We really enjoyed our afternoon. Along the coastline from Cinque Terre on Italy’s riviera coastline lies Porto Venere, just west of La Spezia. One of our favourite spots along that particular coast, it’s cozy, has charm and is a delight to go and visit.